At this phase in my life, it’s really important to me to share the gifts of Mind Body Nutrition and Eating Psychology. This program literally changed my life in so many ways, and I know there are many people out there who need me in their ears; as the Institute has been in mine since 2013. As a Mind Body Eating Coach, I feel like I have a duty to share everything I know with people who are ready to listen. I believe I can specifically help young women who struggle with binge eating, emotional eating, and use exercise as a form of punishment. Something that I learned on this journey as a Coach is that I teach what I need to be reminded of. The clients that sign up with me are a reflection of my story. Once I realized I only needed to be a few steps ahead of my clients to help, that took the pressure off and allowed me to step into my role as a Mind Body Eating Coach. I became a Mind Body Eating Coach four years ago because I was desperately searching for the answers myself. It became really important to me to share my story as I began to release the shame and guilt around it. When I was stuck in the cycle of binge eating and over exercising to negate the extra calories, it was a pretty selfish, guilty, shameful place to be in. It takes a lot of mindset shifts, wisdom drops, and inspiring people to pull you out. Luckily, my heart led to me to the healing I needed. I worked through those tough feelings, instead of stuffing them down, and transformed my deepest pains into my life’s passion. There are times that I can feel disconnected, like “who am I” to have everything that I desire? The way I pull myself out of that negative mindset is to reframe the statement, “who am I not to” share everything I know about how to stop binge and emotional eating? Who am I not to show up exactly as I am? It would be a disservice to not share my message and my gifts. Being your own worst critic is what I believe holds people back from living a meaningful life. Especially in my role as a Coach, I have to remind myself constantly that it’s not my job to be perfect. It’s my job to be myself and share my truth. It’s my duty to listen deeply to others and be able to hear the parts of their story where they are self-sabotaging. It’s my honor to be an example for other women that you too can overcome binge and emotional eating, and create a lifestyle you love. 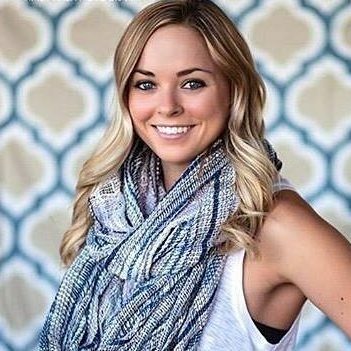 Macy Graham is a Certified Mind Body Eating Coach, Lifestyle Design Coach & Yoga Teacher who specializes in helping women, who binge or emotionally eat, gain their power back with coaching packages that include private coaching (recorded phone sessions), mindful movement videos and group coaching calls. Macy is most passionate about helping women smash self-sabotage and use that energy towards self improvement and creating a life they love. Please visit her website at www.hungryoga.com for more info or email macy@hungryoga.com. You can also find @hungryoga on Facebook, Instagram & Youtube!